Putting together a good sales page isn’t impossible (in fact, it’s far from it). But it does require time, effort, and grit. Because of all the energy you put into writing copy for your sales page, it can be discouraging to discover that many people land on your sales page but don’t stick around for very long. That’s why in my last post, I shared 6 common reasons why people stop reading your sales page. What can you do to get people to actually read your sales page copy (and other types of copy you use to sell products and services – like email copy or landing page copy)? Make your sales copy like a greased slide. When you create a “greased slide” with your sales copy, you make your transitions between paragraphs and ideas so smooth and compelling that your audience can’t help but keep reading. How do you create a greased slide with your sales copy so that the decision to keep reading it is a no-brainer for your audience? 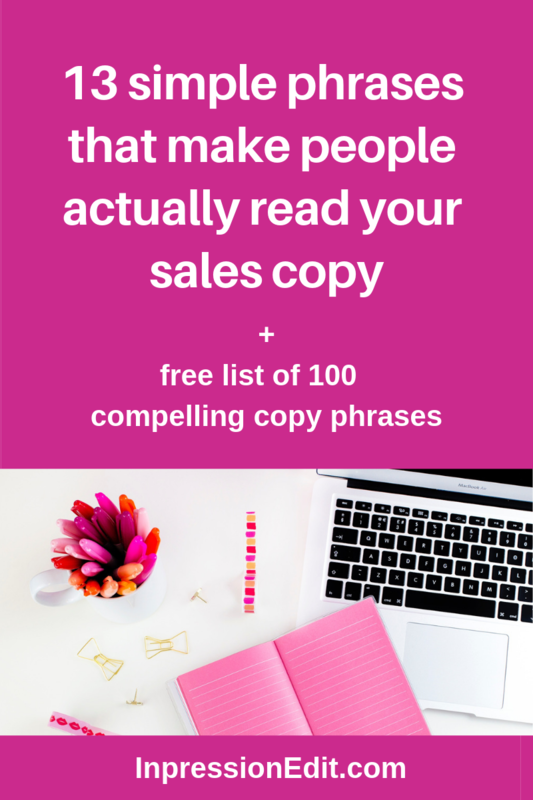 Check out these 13 phrases that make people actually read your sales copy. Looking for more grease slide phrases that will help you write irresistible sales copy? 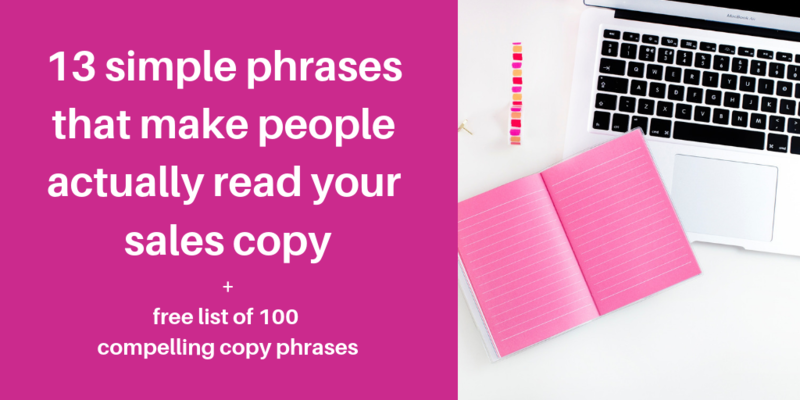 Download my free list of 100 grease slide copy phrases. Why it works: It tells your audience that you’re about to share something important. 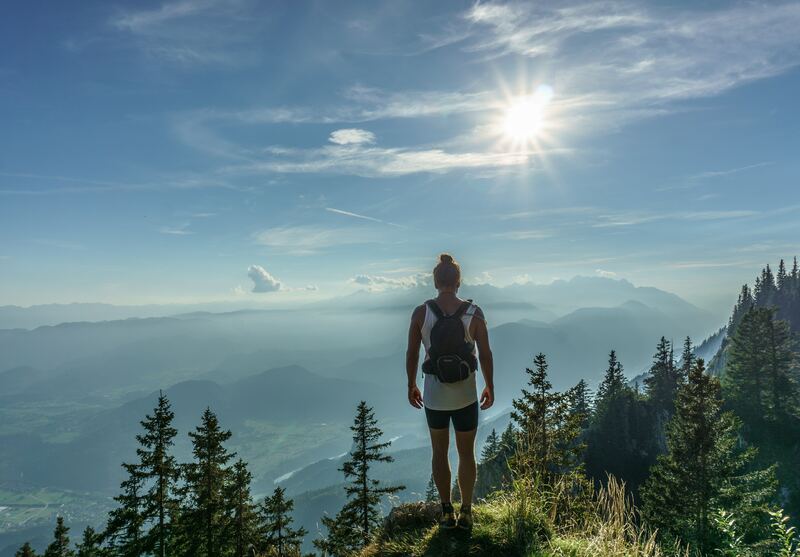 People are motivated to avoid FOMO (fear of missing out). So they’ll want to keep reading your sales copy to find out what’s so important. Why it works: This sales copy phrase implies that there’s a problem or obstacle that will prevent your audience from achieving an important goal. And because your audience will want to know what this problem is (and how to fix or overcome it), they’ll want to continue reading. Why it works: This sales copy phrase pairs well with the previous one because it helps you introduce a solution to a problem. By hinting at a solution, it encourages your audience to keep reading to find out what it is. Why it works: This sales copy phrase is simple, but it does the job. Why? Because people love examples and tend to pay attention to them. Examples provide context for more complex ideas or concepts related to your product or service. So they can make it easier for your audience to understand why your product or service would truly help them. 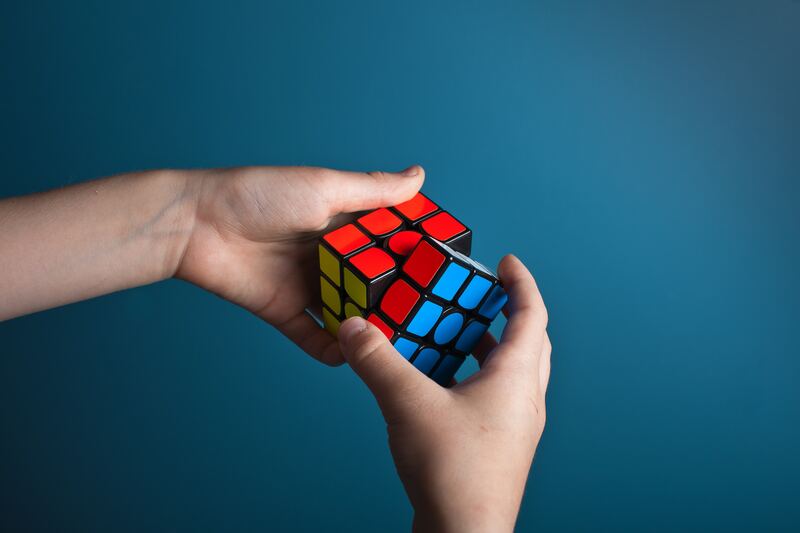 Why it works: If you’re explaining something complicated or abstract, some percentage of your audience will struggle to understand it or truly get why it matters. This sales copy phrase signals that you’re able to break things down for them. And when people know that you’re going to help them understand it, they’ll be less likely to bounce from your sales page, landing page, or email. Why it works: This is a great sales copy phrase to use when you’ve just presented something complicated, contentious, or bold. It encourages people who are thinking of peacing out to stick around and keep reading. Why it works: When you use rhetorical questions like this in your sales copy, it engages your audience and primes them to agree with you. And when your audience agrees with you, they’re more likely to continue reading your copy and move closer toward becoming a customer. Why it works: This is a great copy phrase to use when you’re describing a product or service. You can use it to highlight that your product or service has yet another incredible benefit. And you can also use it to highlight bonuses that come with your product or service. Why it works: When you use this phrase in your sales copy, it makes your audience’s ears perk up. Why? Because it suggests that you can read their mind, and they’ll be motivated to find out if you’re right. The cherry on top is that as long as you accurately capture their key problems, objections, or desires with this phrase, you’ll show your audience that you truly get them. And that, my friend, is a key step in making them a customer. Why it works: This is another sales copy phrase that helps you craft powerful stories. 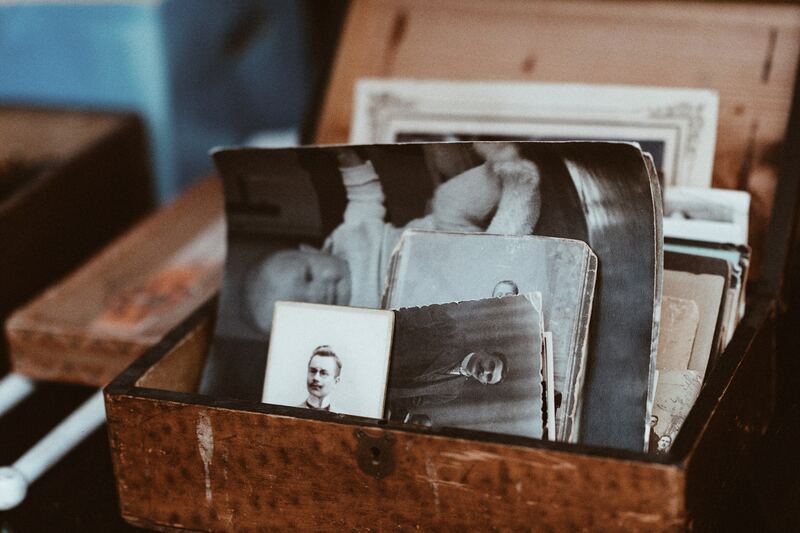 It’s great for describing a story about your own life or career, which helps your audience connect with you. It also works well when describing a past customer’s or client’s transformation. Why it works: This sales copy phrase makes your audience curious about what you’re about to say. It’s particularly useful when you’re telling a story about a transformation you made or something you realized related to the topic of your sales copy. Why it works: Your audience is ultimately interested in knowing what’s in it for them when it comes to your product or service. This sales copy phrase targets this motivation by telling your audience that you’re about to mention the results they can achieve with your offer. You can also use it when presenting case studies to help your audience envision the results that are possible for them if they buy your product or service. Why it works: Use this sales copy phrase to share a result you achieved that’s related to your product or service. If your audience wants the same transformation, they’ll be motivated to keep reading. Writing great sales copy—copy that your audience will actually want to read—isn’t about using complex words or cutesy language. Instead, it’s about using strategic phrases (called grease slide phrases) that make it all too tempting for your audience to keep reading. Use the grease slide phrases I’ve shared above to make your sales page, landing page, or email a greased slide that your audience can’t help but slide down. They’ll help you maintain your audience’s attention, educate them about the benefits of your product or service, and persuade them to become customers. Thanks a lot! I know these gonna help me in my endeavor to be a good copywriter. I’m so glad you found them to be helpful!